Waste is incinerated on a regular basis in big cities and near villages. This is the best way of getting rid of dangerous chemical substances. In cities, the remaining toxins are projected into the atmosphere and they are then diluted, preventing people from inhaling them. In villages or smaller communities however, the smoke full of toxins is not projected high into the atmosphere and, consequently, there are certain trash burning health risks that we all take during the process. People suffering from asthma, emphysema, or other respiratory conditions are especially concerned when it comes to the health risks of trash burning. The effects on these parts of your body are not immediately visible, but may turn into chronic diseases after a number of years. Let’s give only two examples of the dangerous substances you are exposed to. Formaldehyde and paraffin can be found in cardboard, for instance. When they come in contact with your body they can cause irritation. Moreover, paraffin can be contaminated with other substances, potentially carcinogenic. 1. Burn the trash as far as possible from the community. 2. Make sure the process is the shortest possible. 3. Remove all the objects that contain chlorine, such as napkins, cardboard, office paper, and plastics. Seva Call can connect you garbage removal professionals to get rid of your trash right away. Come to us to be connected with up to three professionals when you need them most. People choose to burn their garbage on a regular basis near their houses or in their backyards. This is a well-known practice, especially during drought periods. Some of them do not want to pay for waste disposal services; others find it simply easier. There are states where garbage burning is prohibited by the authorities. Nonetheless, a considerable amount of waste, grass, and brush are turned into ashes, sometimes in an uncontrolled manner and with uncontrolled effects. Recent studies have shown that this practice is a lot more poisonous than we used to think. We should all realize that we put our health and the environment at great risk. One of the consequences of garbage burning is the releasing of dioxins, which eventually pollute our water and our food. Many medical conditions such as emphysema and bronchitis can be aggravated by exposure to smoke, whereas the dangerous substances released into the air can be the cause of insidious diseases. A lot of toxic substances are released into the atmosphere as a result of burning garbage. In residential communities, the smoke caused by this process contains a great amount of toxic compounds, among which nitrogen oxides, volatile organic substances, and carbon monoxide are the most dangerous. These dangerous compounds can seriously affect the environment. Noxious substances are one of the causes of acid rain and are to be blamed for various harmful environmental changes, such as the depletion of the ozone layer, or smog. The volatile organic compounds, based on carbon, bear photochemical reactions, and are culprits in the formation of smog. As far as the emissions of carbon monoxide are concerned, the practice of burning garbage produces a lot more carbon monoxide than decomposition, and this dangerous substance pollutes air irreversibly. Therefore, next time you want to burn your garbage in the backyard, think twice. Need Help with Garbage Removal? Seva Call can connect you with trustworthy professionals in your area for safe garbage disposal. We will connect you with up to three local professionals in just minutes, for free. 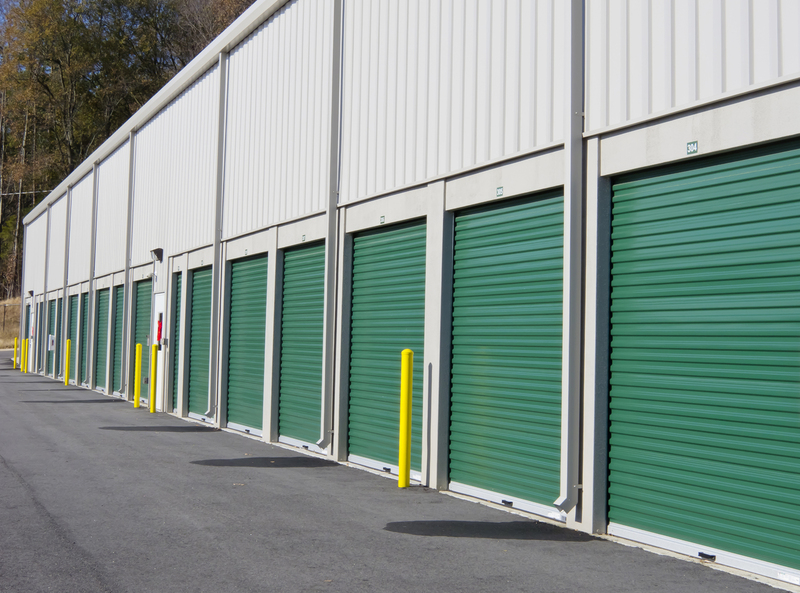 Every once in a while, homeowners are forced to get rid of unwanted items that gather dust in their homes. Their eco-friendly attitude stops them from discarding them anytime, anywhere. Therefore, some of them may be wondering: where can I recycle batteries? Below you will find a set of guidelines, showing you how to dispose of used batteries properly. Alkaline batteries usually power flashlights, toys, smoke detectors, and lots of other common gadgets that we use on a daily basis. 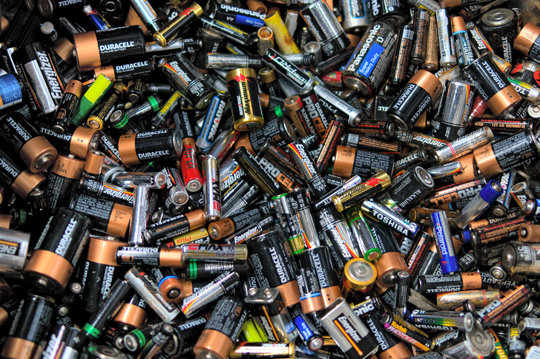 You don’t have to worry about no longer useful alkaline batteries, as they can be mixed with your everyday trash and sent to the landfill. They are cataloged as standard municipal trash, just like carbon zinc (also known as heavy-duty) batteries. There is one exception worth mentioning: people who live in the state of California should comply with a strict set of policies on waste disposal. Button batteries are utilized on a large scale to produce watches and hearing aids. Unfortunately, they contain elevated levels of toxic elements, including mercury, zinc-air, silver oxide, and lithium. This is why they should be handled with maximum care and deposited in a collection site that gathers and manages hazardous waste. Lithium-ion and lithium batteries do not pose any health risks. They are utilized to power a long list of appliances. The old ones can be brought to your local battery-recycling center or left at one of the many battery collection points, available in supermarkets and stores. Where Can I Recycle Batteries? Ask an Expert! Don’t know how to sort and dispose of your trash the right way? In this case, discuss your options with competent garbage removal experts. Find the best ones in your area with Seva Call, your number one service created to help you track down real pros in no time. It’s sad but it’s true: an expensive piece of furniture like a sofa can become useless after a certain time. And unless it’s made of genuine leather, there won’t be many friends willing to take it. If you have no one to pass your sofa onto, you’ll need to know where to throw away a sofa. Where Can You Throw Away Your Old Sofa? 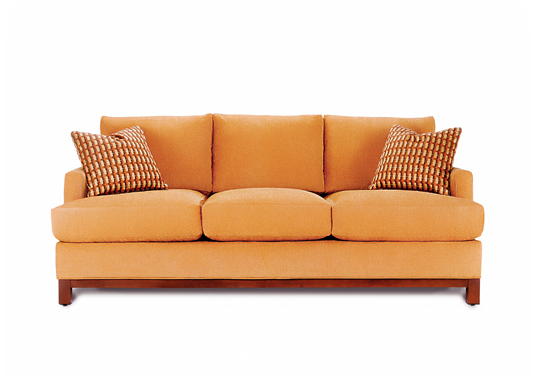 Selling your old sofa: If you decide to sell your old sofa, make sure it’s still in good condition, or have it cleaned by an expert before you put it up for sale. One way to sell your sofa is to place it in a jumble sale. Sell your old sofa online: Another solution would be to place an advertisement on the Internet. The advertisement could be a short text or even a film about your sofa. You may not get much money for this item of furniture, but all you want is to get rid of it. Donate your old sofa to charity: If you decide to donate your sofa to a charity, you will need to have it hauled away, which is extremely convenient. This is also a nice gesture of solidarity. Whatever option you choose, never abandon your old piece of furniture on the wayside. We should all assume responsibility for everything that is or was once ours. TalkLocal can help you get rid of your old sofa. 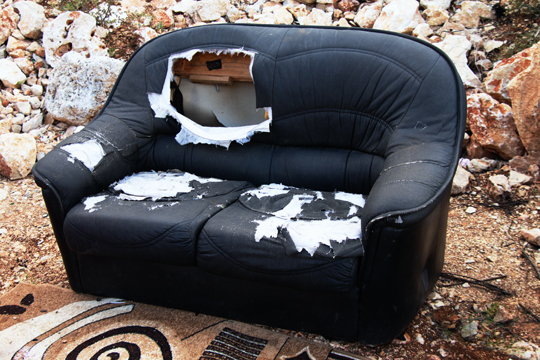 Give us a call before you throw away a sofa and we will connect you with reliable disposal services in your local area. Sometimes, we all have trash that we need to dispose of, but there’s not always an available place to take it. That’s where trash burning barrels can come in handy. Burn barrels are made specifically to destroy trash safely and securely. Trash burning barrels are popular in the countryside where trash collections don’t happen so frequently. While a lot of people complain about the smoke and smell of burn barrels, they do have some benefits. At the very least, trash burning barrels can bring down the cost of removing your garbage. Of course, not everything can be destroyed in a burn barrel. Old furniture can’t be burned in one, for instance. 1. Drill three or four holes in the bottom of your drum to let any rain water pass through. 2. On the sides of your drum, drill some more holes (less than 20). Be careful not to drill too many holes on your barrel or it will become weak and rust quickly. Additionally, do not burn aerosol cans in the barrel; it can explode if you burn aerosol products inside. 3. Place the barrel, open end up, on top of the blocks. Make sure that the holes on the bottom of the barrel are not obstructed, because you need some airflow. 4. When burning things inside the barrel, use the metal fencing to cover it. This will limit the ashes and other debris escaping from the barrel. 5. When not in use, cover the barrel with a waterproof cover so any trash you have inside will still dry. 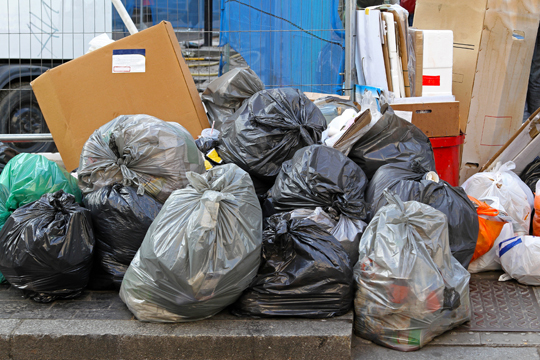 TalkLocal can help you locate professionals in garbage removal in your area within minutes! Give us a call today, and see how we can assist you with garbage disposal! Picking up other people’s garbage and removing it is a thankless job. However, it’s a job that our most basic comfort depends on, so showing appreciation for this service, especially during the holidays, is a nice thing to do. Of course, you might think that garbage men make good money, so there’s no reason to give them tips, especially as you already pay for their services one way or another. However, if you think that the person who picks up your trash every morning deserves a token of appreciation at the end of the year, here are some ideas for ways to thank your garbage man during the holidays. If, for whatever reason, you don’t want to give him a tip, you can give him a gift card. Gift cards offer one of the alternative ways to thank your garbage man during the holidays. They allow you to show your consideration for someone who does you a service, an indispensable one in this case. A gift card shows that you care by allowing the recipient to use it as they see fit. Insert it in a Christmas card together with your best wishes and it will surely be well received. To some people, offering gifts to service providers such as the garbage man, mail man, or hairdresser may seem inappropriate. However, if you feel like rewarding your garbage man for the service he provides, you can offer him a small gift. In small communities especially, where you get to know your garbage man, and he’s more than just a face on a truck, you can show your appreciation by giving him a bottle of wine or some homemade food. Adding a card with a personal message will make an even greater good will gesture. Looking for Help to Get Rid of Unwanted Junk? TalkLocal can connect you with the closest waste management service in your area in no time, at no charge. While the practice of burning garbage has been around for centuries, city ordinances have rigid laws that prevent residents from burning their garbage. Common burn laws exist in almost all states, with a few exceptions. Burning garbage creates dioxins, which are harmful when inhaled. It’s better to dispose of your garbage the proper way by having it picked up and incinerated by professionals. While the cost of removing your own garbage may be higher, the health risks are less. In fact, burning 10 pounds of trash in a burn barrel produces as much in toxic chemicals as burning 400,000 pounds of trash in an incinerator. Common burn laws are put into place for this very reason; open burning of garbage is harmful to the environment and to human health. It’s also recommended that you compost your organic waste in your garden to turn it into fertilizer instead of burning it. When are Trash Burning Barrels Legal? There are a few situations where burning is legal, such as when you are burning for campfires. These campfires should be no more than 3 feet in diameter by 4 feet in height. 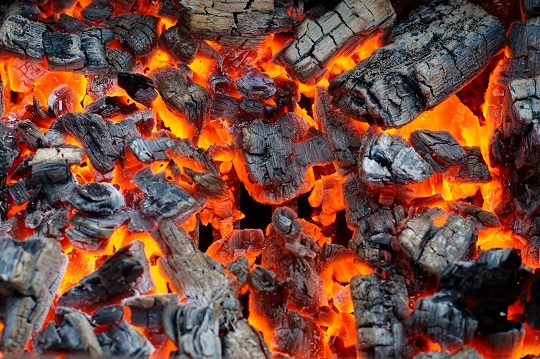 Small cooking fires are allowed, provided that you only use dry and unpainted wood as fuel. Barbeque grills and grills burning charcoal are allowed to be used whenever there is an event. Also, agricultural burning may be carried out on farms with an area of more than than 5 acres. Finally, common burn laws often allow the burning of tree branches. This is usually subject to restrictions on the length and diameter of the branches to be burned. Even so, there are probably better alternatives to burning, even for getting rid of those old fallen tree branches in your yard. Need Help with Garbage Disposal? TalkLocal can connect you with garbage disposal experts near your area within minutes! Call us today and let us help you find an expert! Ratty, busted, dirty furniture is typically a must-go from your house. However, you may not feel comfortable passing old, beat up furniture to the college student down the street or the new renters you just met. There are some places you can get rid of broken furniture. In many cities, it’s easy to get rid of broken furniture. All you have to do is take out all of your broken furniture and place it on your curb on trash day. Like getting rid of old television sets, garbage trucks often will pick up old or broken furniture that you won’t use and take it straight to the garbage dump. Before going this route, however, make sure to check trash regulations in your community. Some require that you give them special notice, and others might even charge a small fee. Whatever you do, be careful when moving broken furniture, though, as the broken edges can potentially cause scratches and wounds when you move them. To prevent this, secure them with foam and masking tape. Someone who cannot afford to buy furniture may be willing to fix up your broken furniture. You can call the Salvation Army and schedule for them to pick up your old furniture at a time when you are home, so that you can get rid of broken furniture, and someone else can use it. Someone may be willing to get your furniture for free – even if it’s broken. There are people who cannot afford to buy new furniture but are willing to fix up your broken furniture. Putting an ad in the paper may be a good bet for you. You may be able to find someone willing to recycle your furniture. This is a great way of removing your own garbage. Remember, one man’s trash is another man’s treasure! If the broken furniture you are trying to get rid of is part of your family’s heritage, some relatives might be interested in getting it. Call them and see if they are willing to fix it up and recycle it. Depending on how badly broken it is, they might be willing to take it from you. Contact TalkLocal today and let us help you get rid of broken furniture! 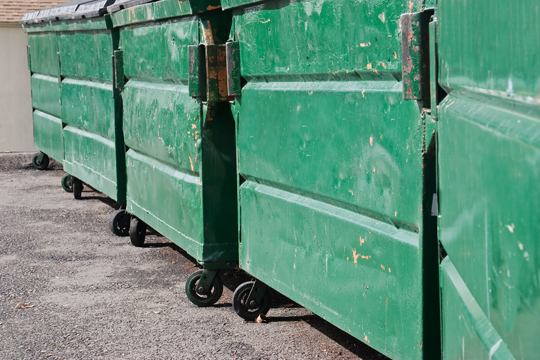 We can help you find garbage removal professionals near you! Numerous homeowners buy more food than they actually manage to consume. Furthermore, it seems that no less than 50% of all the edible products commercialized in the U.S. are discarded every single year, as a result of surplus and spoilage. In this context, home composting represents the best alternative at hand, enabling people to recycle their food waste ideally and embrace a greener lifestyle. Some family members who are interested in composting food products might be wondering: what do I need to start recycling food scraps? What kind of food waste is recyclable? How could I complete this task fast and effortlessly? Read on to learn how to compost food scraps in a few simple steps. Composting food products is a great strategy, allowing homeowners to recycle food they no longer plan to eat in an optimal manner. Believe it or not, some cities do not encourage this eco-friendly practice, because inadequate food waste storage methods could attract a wide range of pests (rodents, scavengers or opossums). Moreover, some cities embrace a different type of municipal solid waste plan and implement special receptacles for food scrap disposal. So first of all, find out if you’re allowed to start composting food products in your own backyard. You should know that there are two categories of food waste: compostable elements (fruits, veggies, coffee and tea grounds, crushed egg shells, old pastry products, grains and spices, corn cobs) and non-compostable items, which usually breakdown at a slow pace and draw a large number of rodents (meat and dairy products and basically any type of grease). Now all you need to do is to purchase a 5 gallon bucket to store the food scraps you’ve collected. Here’s an extra tip: once you put the food waste in it, line its lid with paper to stop bad odors from spreading in your backyard and to keep those annoying flies at a distance. Truth be told, composting food products is easy, green and convenient. Here’s another extra tip: If you want to accelerate the process, simply add a layer of recently made compost on top of your food scraps stored in the 5-gallon bucket. This way, the compostable food waste will breakdown faster. 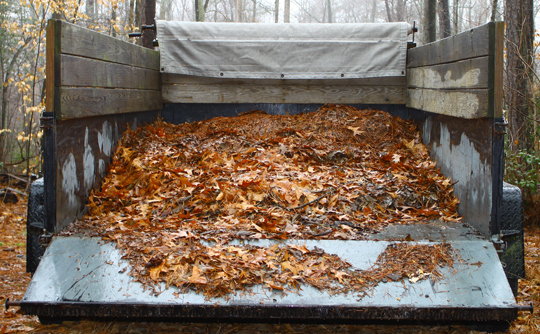 Follow these simple steps to start composting your leftovers in the comfort of your own home. This simple DIY project can be completed by any homeowner with minimal effort. When in doubt, it is recommended to discuss your options with garbage removal specialists. Find the best ones by relying on TalkLocal, your primary source of accurate information. 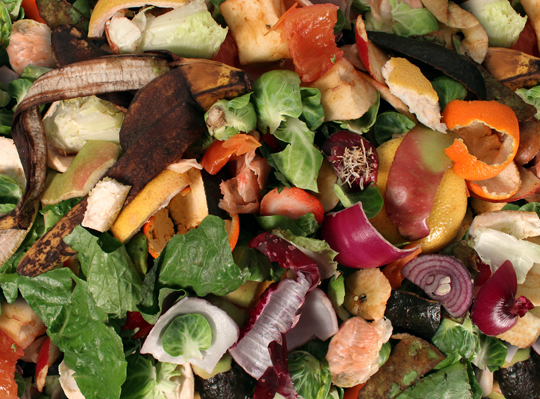 Start composting food waste today to live a cleaner, greener life.